When a parent passes away their legacy to the world lives on through their children. 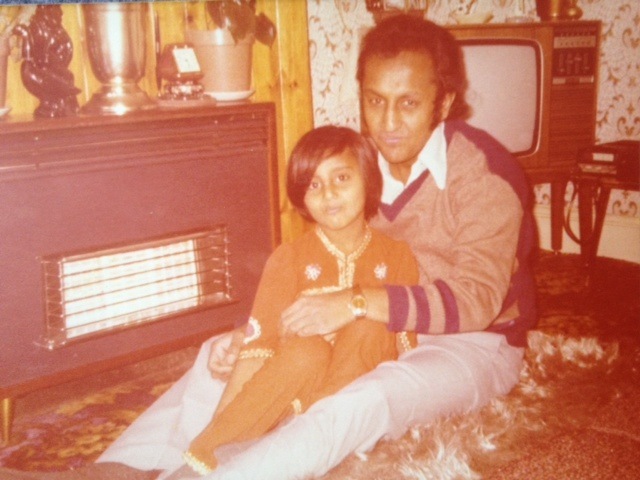 Nalin Patel never lived to see the charity work of his dentist daughter Shaila but I’d like to share her story with you. The Patels are dear family friends. I knew Shaila had gone abroad but I never realised the extent of her work until I wrote a version of the following article with her. There are thousands of dental patients in refugee camps on the Thai/Burma border who are no longer in pain because of a father. Dr Shaila Patel paid tribute to the memory of her dad through her work over the course of five years for two charities: HOPE 4 the World and Global Angels in a joint project helping the refugees of Eastern Burma (Myanmar). Shaila’s dad taught her the importance of helping people. It was this lesson that motivated her to overcome her own grief and fly out two weeks after his unexpected death in November 2008 on a pre-planned trip. It would be the first of four trips that she would make for HOPE 4 the World to teach emergency dentistry to medic students in refugee camps. During the first trip Shaila taught ten students at the Loi Tai Leng Camp using a translator. HOPE 4 the World is working with The Shaan and Karen Health Committee, a local organization, whose vision is for the people to become self sufficient by learning from visiting medical professionals like Shaila. Shaila’s shock at having lost her dad so suddenly was put into sharp perspective as she heard the refugee’s stories. There were people here who had lost family members in truly tragic circumstances. In this conflict zone there are no hospitals or any medical services other than those provided by the Shaan Department of Health & Welfare. The people who live in this mountainous region have no running water or electricity. Despite their hardships Shaila found that the people were full of spirit and humour. The journey to the camp began in 2007 when Shaila met Molly Bedingfield, CEO of Global Angels and mum to the pop stars Daniel and Natasha Bedingfield. Global Angels has a unique model as all donations go straight to projects while corporate sponsors pay for its operational costs. In 2008, Molly introduced Shaila to Dr Martin Hussain who was involved with the charity HOPE 4 the World which led to her first teaching trip. Following the November 2008 trip Shaila decided to raise awareness by creating a video to inspire others which would also be a fitting tribute to her dad. In November 2009 Shaila made her second teaching trip this time accompanied by a professional cameraman. The nature of the camp meant it was impossible to plan anything for the shoot. Shaila’s love for the people found her visiting again in November 2010, on her third trip. Each of the trips followed a similar pattern where a group of medic student aged between 16 and 40 years old were trained in the very basics of dentistry. Most importantly the medic student were taught how to diagnose serious infections especially the kind that could become fatal. The medics will then go on to treat countless patients in the refugee camps. Her fourth trip was in November 2012 to Loi Tai Leng Camp, just a week after her honeymoon. This time, Shaila worked with Dr Paul Liddiard and introduced him to teaching on the camp. Paul joined HOPE 4 the World after reading an article written by Shaila in the British Dental Journal requesting dentist volunteers. The Shaan and Karen people helped Shaila overcome her own grief. They also inspired her to create a video that is a lasting tribute to her dearest dad whose love and support made me her all that she is today. The teaching trips allowed Shaila to be part of a cause that is building a lasting positive change in bleak circumstances. A wonderful article and a very inspiring story.